We just want to thank you for the wonderful ceromony. You did a tremendous job. It was just amazing that you were able to incorporate our personalities so well with just the short amount of time that we had with you. We both honestly think that you did just as well, if not better, than if we had our minister here perform our ceromony. Again thank you so much for making our day so very special. There are not enough words to describe the wonderful experience we had with you and Marti. First, the online counseling and Skype sessions were invaluable. By the time we met face to face we felt like we had known you our whole life. My guests said the ceremony was spiritual, yet light hearted and humorous and just exactly the right length! The location is beautiful and the photographs were amazing. We will be happy to speak to any of your potential clients to let them know how perfect our wedding day was. We changed our mind about the date at least three times and Rev. Gary was flexible and considerate through out it all. He even counselled us via Skype at midnight to accomodate my husband’s work schedule. I would have strangled me myself by the time we finalized everything but he took it all in stride. They made recommendations for other venues, lodging, the licensing procedure, step by step he guided us like the good shepherd that he is. Note to the public, we are from out of town and got lost going to the wedding. Rev. Gary stayed on the phone and talked us into his driveway stoplight by stoplight. We were an hour late and still managed to have a full ceremony, photos and mingling and got to our reception with plenty of time to spare. When my friends back home saw our wedding photos, (aside from the jealousy), they were impressed with the service and the quality and the cost. My wedding rivaled Princess Di’s in terms of being a fairy tale wedding. I highly recommend this husband and wife team and thank God for their hospitality and business sense. This is a ministry in itself and I am glad that they are willing vessels. We would just like to thank you once again for making our day extremely special. We are truly happy and blessed that we found you and that you were able to marry us on such short notice. The reason we are so elated at this occurrence is because Adrian’s father passed on June 9 and he was supposed to perform the wedding ceremony. He would have been marrying off his only son which would have made the occurrence even more special. So you see, I believe that we were led to you by something special. After the death of Adrian’s father I was extremely frazzled about who we were going to get to perform the ceremony on such short notice and also make the ceremony special for us. I had looked at so many different officiants in the Orlando area and had even spoke to one but there was something about your picture that sent a calm over me and there was just something about you that Adrian and I were drawn to and liked. It was amazing that we felt this way just from a picture and a website but once we talked to you we knew we had made the right choice. Meeting you in person only sealed the deal and relieved any underlying stress that we may have still been feeling. Reverend Davids, you truly made our day special and I wouldn’t change anything about the way you performed the ceremony. We will always be grateful for the role you had in sending us off on our new journey in life together. We need more stars to rate Rev. Gary! When my (now) husband and I decided to turn an already planned family vacation into a destination wedding I had no idea how amazing it would be thanks to Rev. Gary. Words can not express our gratefulness and how accommodating he was to our specific needs. The Secret Garden is Florida’s Best Kept Secret by far and is a secret to share with all. We only needed to speak to him a few times prior to the wedding-because he was able to answer all of our questions and go over everything we needed including where we would need to go and what we needed to do as Michigan residents getting married in Florida . My husband appreciated his attentiveness and the way that he followed up with us to see how things were coming along prior to the wedding and even since the wedding and our return to Michigan. We felt as if though we have known him for years and we look forwarded to staying in touch for many years to come! Thank you so much! Thanks for every single thing that you did for us. As far as what you came up with, I love it and it’s perfect. It actually made me cry. Thank you so much for that. I really appreciate you and the work that you have done. You were wonderful and we’ve also heard many great things about your delivery from our friends and family. We cannot express enough how thankful we are of you. Thanks again for everything. God bless you and your family. Rev. Gary Davids and Mrs.Davids are awesome!! They helped us put this special day together in less then a month..The set up they have for the ceremonies are beautiful! They are very sweet and willing to work with your needs and desires. We would definitely recommend them to marry any one else! They even played with our children while we were taking pictures. Great people and they did a wonderful job to make everything run smooth and the day couldn’t of been better! an amazing time, it was definitely everything I could have ever wanted! It is now three weeks since you married our daughter Jane to David and we, her parents, are back home in England. We just wanted to thank you both for the wonderful service you provided not just for Jane and David, but for us all. Your welcome and warmth were very much appreciated and I know that it made everyone relax and enjoy the whole day. The photography was absolutely perfect and we have had great delight in showing the wedding album to our friends and family. Several of them have commented that through looking at the photographs they feel that they were there with Jane and David on their special day. The actual service was very thoughtfully put together and meaningful to us all. I know now that we may be calling on you over the next few years to do the same for our other three children as they haven’t stopped talking about what a brilliant place and way to get married!!!! So we had better start saving now for the air fares!!! Once again many thanks for your kindness and your hospitality and may God continue to use you both as blessings to all those you meet. Can I also add that although your secret garden looks beautiful on the website, the reality of actually stepping into it for the first time really does take your breath away. Perhaps you should rename it the ‘breathtaking secret garden’!!! We truly want to thank Gary and his wife Martie for making our wedding day such a special and wonderful event. On December 22, Gary married Paul and I at Kraft Azalea Park in a very heartfelt wedding ceremony. We were so clear and certain about our decision of getting married and we wanted everything to be perfect….because that day every little detail has a special meaning. From the moment we met Gary and Martie in the park and throughout the entire ceremony they made a huge difference in making our day even more special. They were extremely professional and yet extraordinarily warm, spontaneous and empathic and very quickly figured out what would work for us. There is a perfect example of that I want to share because it did mean a lot to us. We were looking for the perfect location for the actual ceremony in the park, and in that park there are so many great locations, it was hard to chose! At one point Gary came across these two great old Cypress trees joined at the base….and with a big smile on his face he turned to us and said – ‘what about this one?’. These huge Cypress trees looked as if they had been holding hands for centuries, the sun light was shinning between them pointing the place and adding a cathedral nave feel. It was the perfect location! Weddings can sometimes be overly structured, serious and boring, but Gary’s personal and genuine interest in creating a beautiful and meaningful ceremony for us, turned an official event into something so much bigger and incredibly special. And it allowed for all the joy and emotion we were experiencing inside to come across as if we were among old friends. And all the while Martie was taking fantastic pictures of it all ! My whole family is in Portugal and unfortunately could not be present. But Martie (and Gary’s) photographies pictured the magic of the place, the ceremony, the bursts of emotion, the total joy and fulfillment of our love. And my family was able to feel it (almost) as if they were present. The pictures are fabulous and everyone that has looked at them from across the ‘big pond’ tells us they were the most fantastic and magical wedding pictures they have ever seen. And we couldn’t agree more. Its all there! 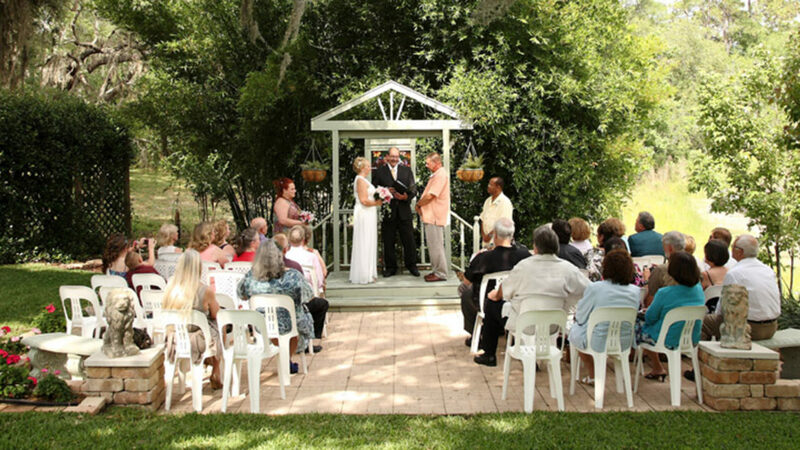 To Gary and Martie – our most sincere thanks for making our day a whole great experience.